Only a short walk to the ski slopes and metres from restaurants, shops, and a convenience store. All this at an affordable price for groups who value convenience over luxury. With five bedrooms this property is perfect for large families or large groups of friends, waking up here you can feel the excitment for the day building up over breakfast in the spacious living and dining area. The Ace Quad - Center 4 is just a short walk away so you'll be just minutes away from Niseko's famous powder at all times. After a day well spent, exploring backcountry, practicing those first turns or racing down the groomers, return to Powderhound Lodge to relax. There are a number of local onsens you might stop at on your way back from the slopes to soak those tired muscles. When it comes to dinner the world is your oyster, Powderhound Lodge is a stone's throw away from the most popular restaurants in Hirafu, the biggest problem of your holiday may well be which restaurant to try next. For a more relaxed evening, there are two convenience stores nearby with all the necessities needed for a cosy night in. Please kindly note that due to fire regulations, the wood stove is now removed. 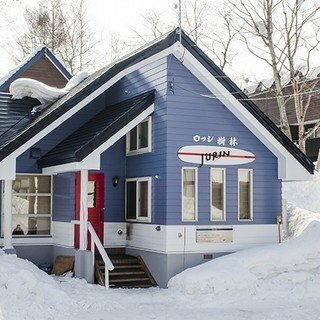 "The chalet was located within walking distance to the gondolas and there is also the regular shuttle bus service stop to/from Hanazono directly opposite which made it very convenient for us to get to the slopes! The chalet was spacious, clean and had all the facilities to make a pleasant stay." "It was like a breath of fresh air to find Powderhound Lodge. 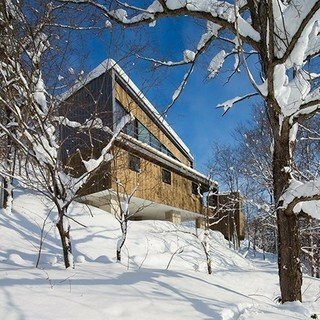 There seems to be so many brand new super fancy apartments and houses in Niseko that you have to pay an arm and a leg for, but thankfully this lodge provided great value for money accommodation without all the fancy pants bits that we didn’t need. The little Japanese touches of the house also reminded us that we were in Japan! The kitchen didn’t have all the latest gadgets but we didn’t need them. Sometimes we cooked dinner in, but largely we just used it for breakfast and fixing simple après munchies. The living areas were good to have some space to sit around and chat and relax – perfect for us! 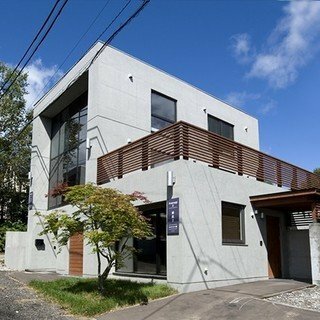 The location was ideal for us in a coveted position in Upper Hirafu Village. We were close to the slopes and super close to all the action. Despite me having told you how good it was, hopefully it will be available for us when we return in a couple of years!?"